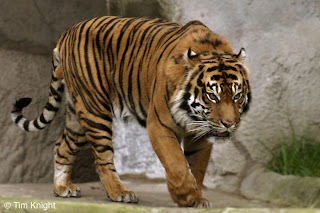 Interesting Sumatran Tiger Facts and Pictures | The Sumatran tiger is the smallest subspecies of tiger in the world,with male Sumatran tigers rarely growing to 2.5 meters in length.The Sumatran tiger is today a critically endangered species of tiger with only around 500 thought to be in the wild.The Sumatran tiger is natively found only on the Indonesian island of Sumatra where the Sumatran tiger can be found inhabiting a variety of habitats from low and highland areas,to mountainous jungle and peat swamp forests. 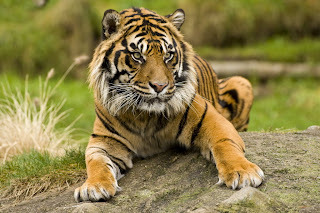 The is Sumatran tiger the smallest species of tiger meaning that the Sumatran tiger is able to move through dense jungle with greater ease than it's larger cousins. 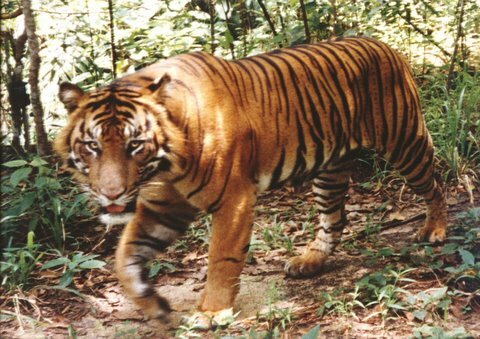 The Sumatran tiger is quite different in appearance to other tiger species as the stripes of the Sumatran tiger are narrower than those of other tiger species and they also have larger manes. 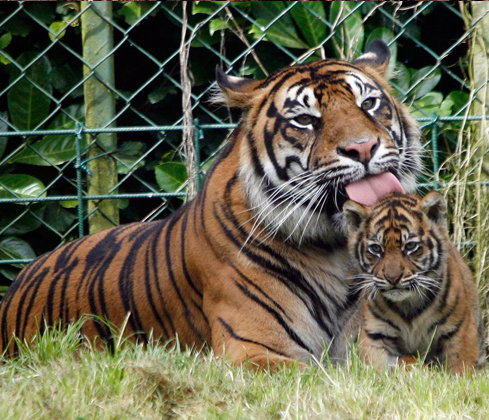 Sumatran tigers have slightly webbed paws which allows them to swim more efficiently after their prey. 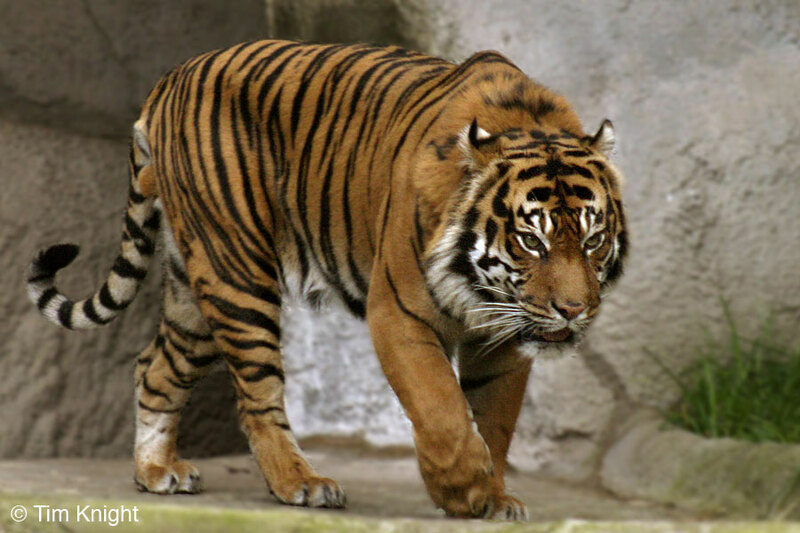 The Sumatran tiger is a dominant and carnivorous predator, hunting it's prey by stalking it until the Sumatran tiger has the opportunity to catch it off guard. 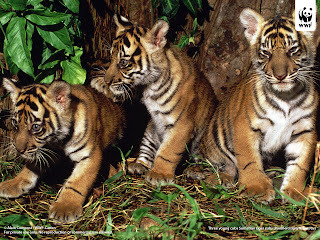 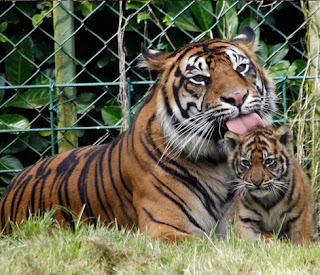 Sumatran tigers primarily hunt larger mammals including deer, wild boar, cattle and goats. Due to the size and power of the Sumatran tiger, it has no natural predators in its native environment. Humans that hunt the Sumatran tiger and habitat loss are the only threats to the Sumatran tiger. 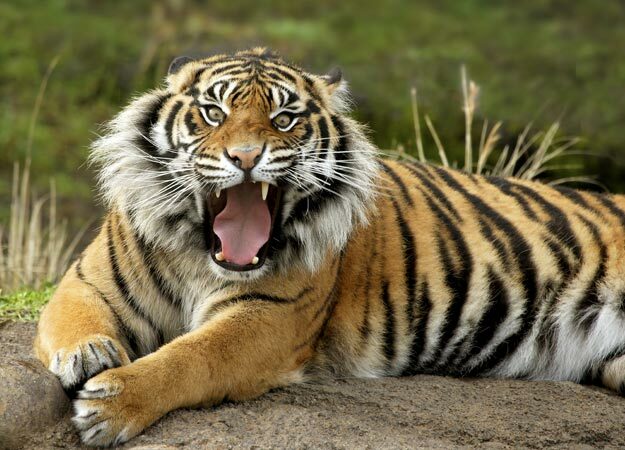 0 Response to "Sumatran Tiger Facts and Pictures"